Looking out of the window a fortnight ago, you could be forgiven for wondering if the seasonal haze had returned. Pollutant Standards Index (PSI) readings across the island exceeded the "Good" range for a full week. On Oct 25, PSI readings even reached 80 in the "Moderate" range, one of the highest readings for the year. The good news is that the haze was not, this time, caused by land and forest fires in the region. According to data from the National Environment Agency (NEA), there were relatively few hot spots in Indonesia's forests a fortnight ago, and none generated the intense and dense smoke haze of 2015. At the central government level, policies and institutions have responded. Since the end of last year, the government has put a freeze on new oil palm plantation licences. It has also banned the clearance of peat forests while Indonesia's Peatland Restoration Agency implements new regulations governing more tightly the management of these fire-prone landscapes. To translate this momentum into long-term change, Indonesia's Financial Services Authority is also looking into policy reforms such as providing farmers with credit tied to sustainable practices. On Oct 20, the Singapore Institute of International Affairs conducted a workshop in Jakarta to highlight innovative projects financing farmers to conduct sustainable, fire-free agriculture. The bad news comes when we ask what caused the haze two weeks ago. Evidence points to Singapore's own sources of pollution, namely "particle vapour and local emissions from cars and factories", as reported in The Straits Times on Oct 26. The cloudy and windless weather in the period caused these particles to accumulate, causing hazy conditions. Even when weather is better, Singapore's median PM2.5 level - 17 micrograms per cubic metre (mcg/m3) - is far from ideal. While this falls within the "normal" range as defined by NEA's standards, it significantly exceeds the 10 mcg/m3 threshold that the World Health Organisation considers acceptable. Hence, in tandem with Indonesia's efforts to curb haze, Singapore must address its own local sources of air pollution. How? To avoid this, we can take pointers from the Land Transport Authority's (LTA) Early Turnover Scheme, which provides subsidies to replace old diesel-powered goods vehicles and buses with newer, less polluting models. The scheme has proved successful in getting 27,000 vehicles switched to cleaner models since 2013. It is an opportune time to extend the scheme to include cars and motorcycles, which make up more than 80 per cent of the vehicles on our roads. However, Singapore is not a leader in the adoption of electric cars. In contrast with a leading country like Norway, where 37.5 per cent of new cars sold are electric cars, Singapore has a total of only 162 plug-in hybrids, electric cars and electric vans, constituting less than 0.02 per cent of our vehicles. Petrol-electric hybrids are more popular, but still comprise only 2 per cent of Singapore's 600,000 cars. Singapore's sparse network of charging stations also presents a hurdle. Currently, we have only about 100 public and semi-public charging stations. In a promising move, the LTA recently announced Singapore's first large-scale electric car-sharing programme, which will install 500 charging stations islandwide beginning next month. However, it remains to be seen just how much this move will kick-start a shift in demand. Indonesia's efforts have reaped the obvious benefit of clearer skies for Asean. But the lack of haze from Indonesia this year has also had an unexpected benefit. 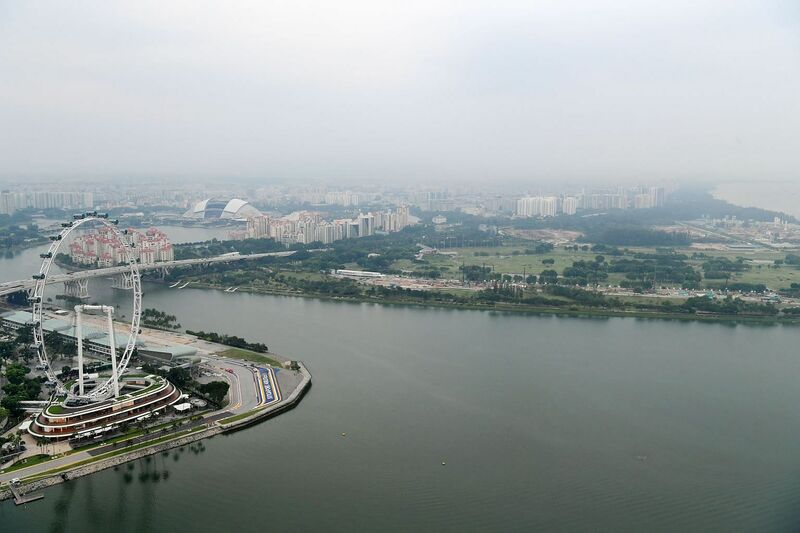 It has reminded us that Singapore needs to step up and stem the haze in our own backyard. Simon Tay is chairman and Pek Shibao is policy research analyst (sustainability) of the Singapore Institute of International Affairs.